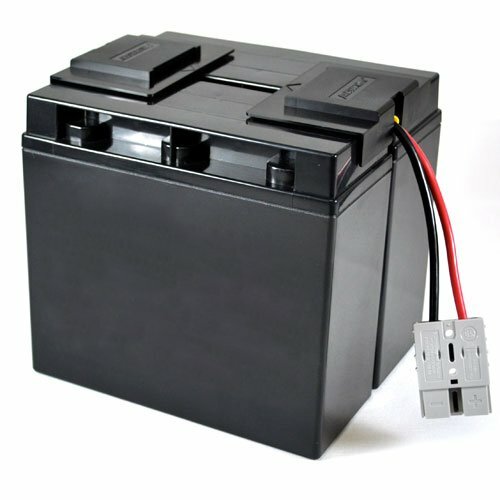 AtBatt RBC replacement battery for APC SmartUPS 1400 keeps you up and running to stave off disaster. The APC SmartUPS 1400 battery replacement gives you the time you need to save your hard work and shut down in case of a power loss.FeaturesHot Swappable Connector, Fuse and wiring included Absorbent Glass Mat (AGM) technology for superior performance. Valve regulated, spill proof construction allows safe operation in any position. Power/volume ratio yielding unrivaled energy density. Approved for transport by air. D.O.T., I.A.T.A., I.C.A.O., F.A.A. If you have any questions about this product by AtBatt, contact us by completing and submitting the form below. If you are looking for a specif part number, please include it with your message.